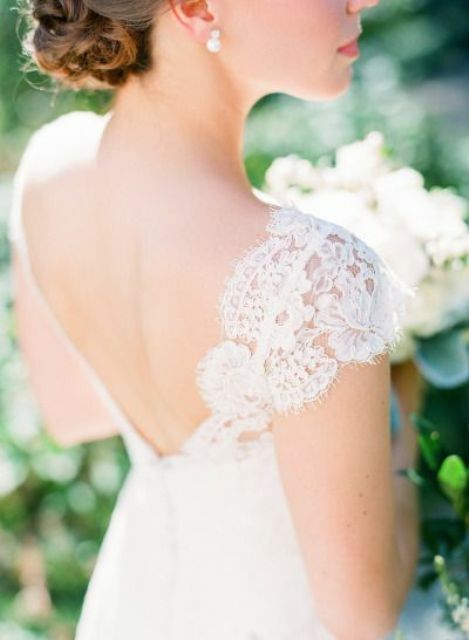 Cap sleeves are perhaps one of the most darling details for wedding dresses, and many brides choose this idea today. 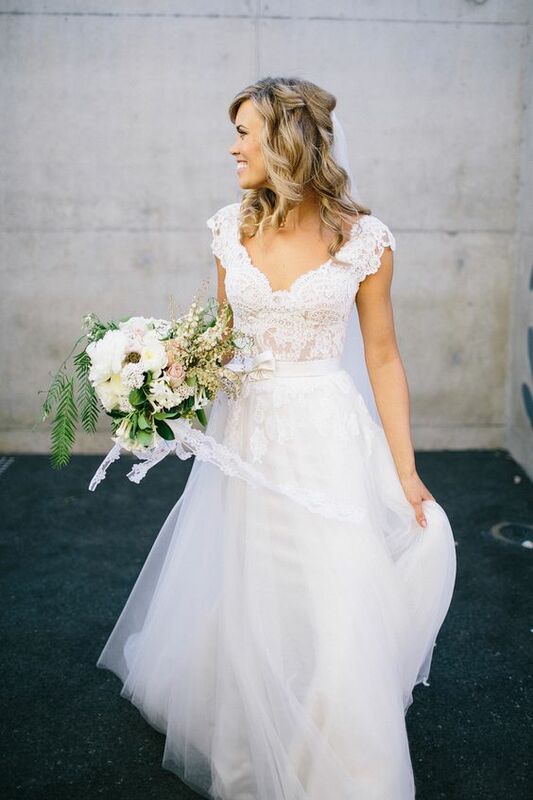 In case if it’s too chilly for a strapless dress or you are looking for something comfier to wear, a cap sleeve wedding gown is a perfect solution. Such a dress is much comfier to wear than a strap or a strapless one, and it will look no less gorgeous! 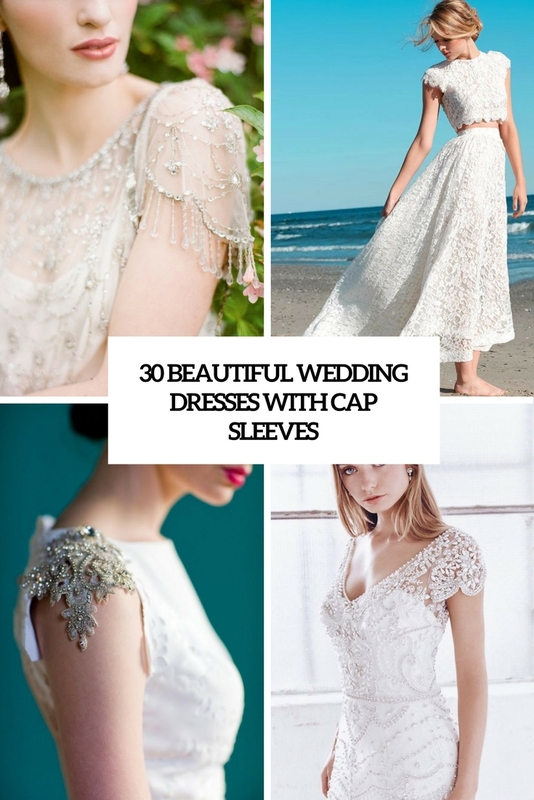 Besides, there are different types and styles of dresses with cap sleeves and you can find an ideal match easily, cap sleeves are also timeless and many designers love them today, so you’ll have a wide choice for sure. And now let me share some ideas. 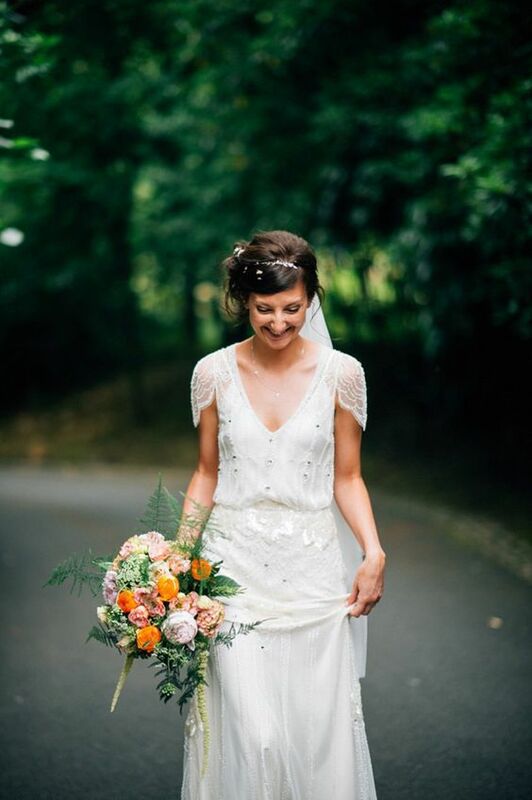 Cap sleeves can be different, here everything depends on your style, gown and the detailing you want: to contrast, to add interest or to polish the dress design. 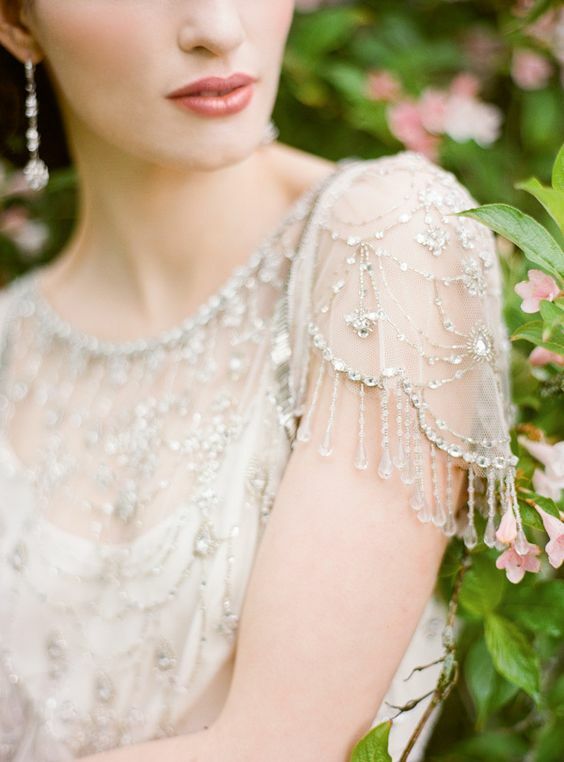 These are mostly boho and art deco gowns but you can modern minimalist, vintage, retro and others, too. 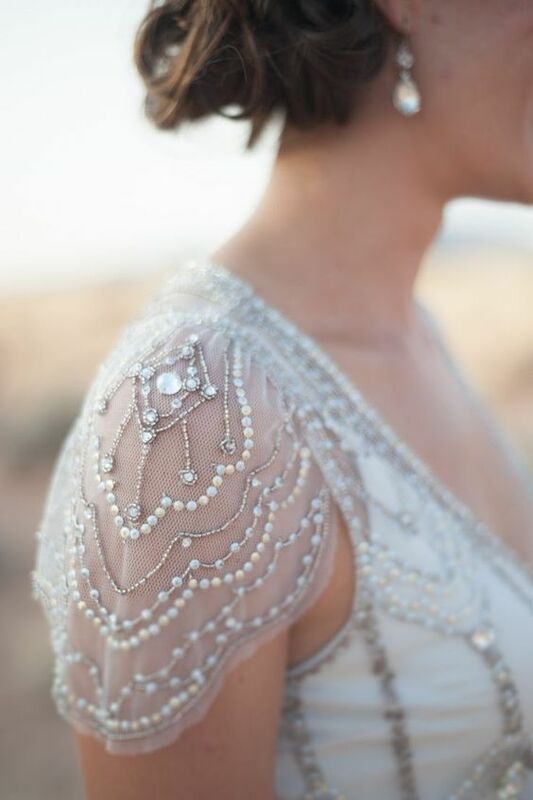 The most popular way of detailing a cap sleeve is beading and pearling it – with different patterns, looks and embroidery. 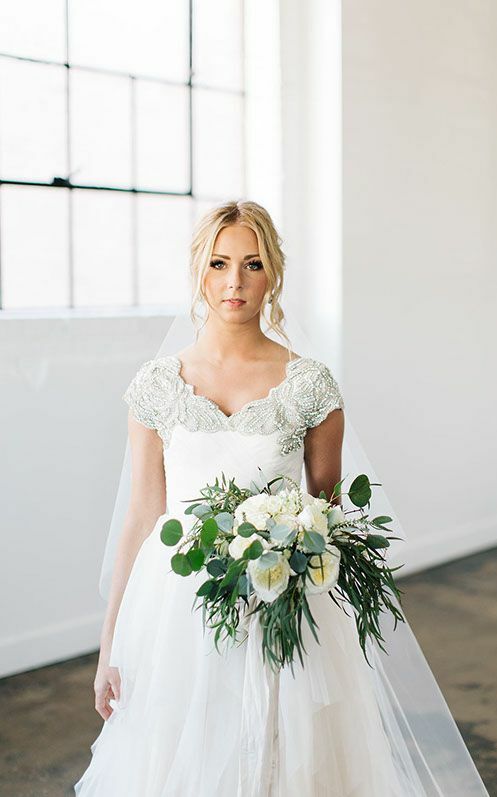 Cap sleeves are usually tulle or lace ones, and you can leave them like that if it’s a simple or minimalist gown, or a romantic lace one – no additional décor is needed. 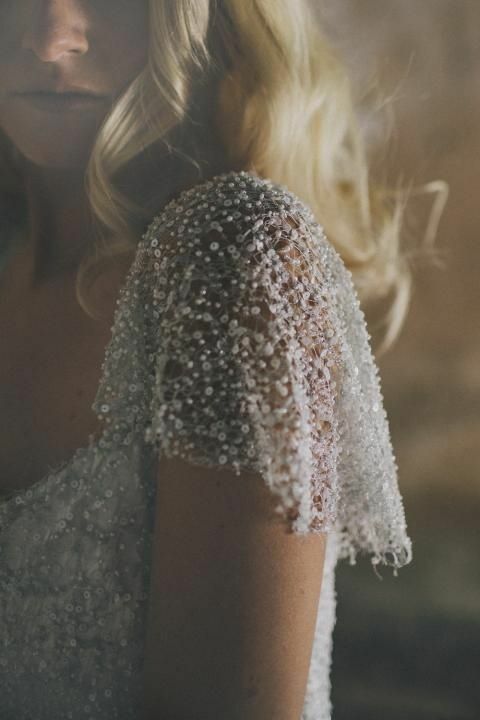 if you wanna sparkle, opt for heavy beading and a lot of rhinestones on the sleeve, or choose a different shade of sleeve to contrast with the dress itself. 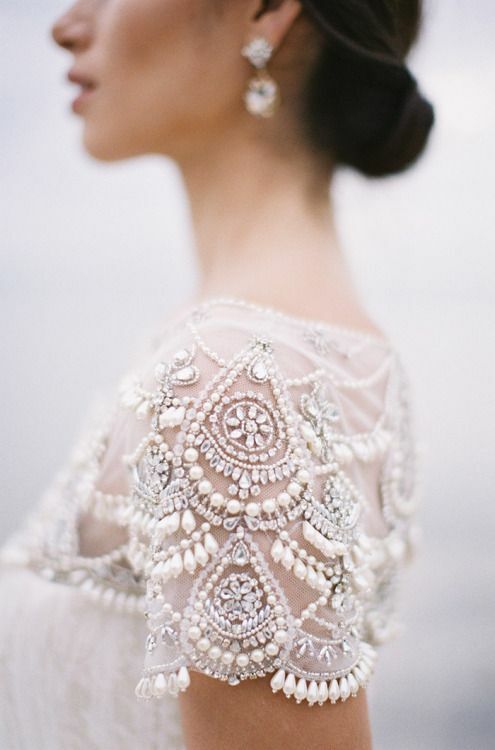 If it’s a boho dress, threads with beads and sparkling threads hanging from the sleeve are welcome, be bold! 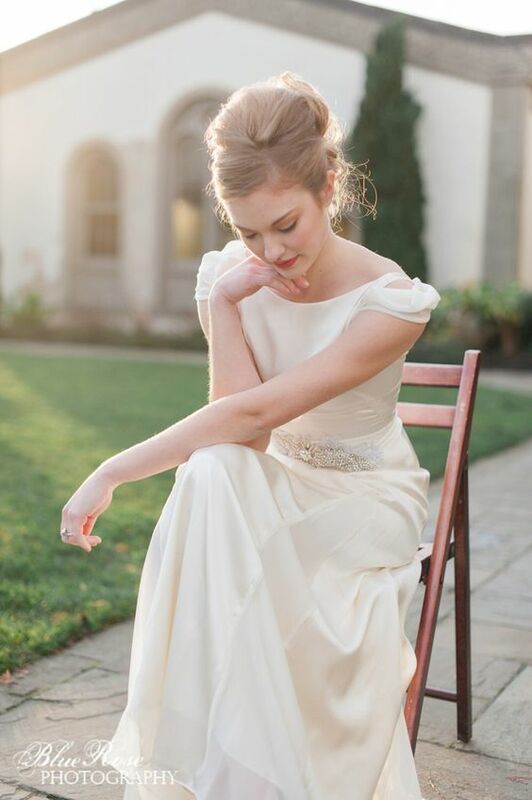 Many designers today offer gorgeous gowns with cap sleeves, and every bride will find a silhouette and detailing for herself. 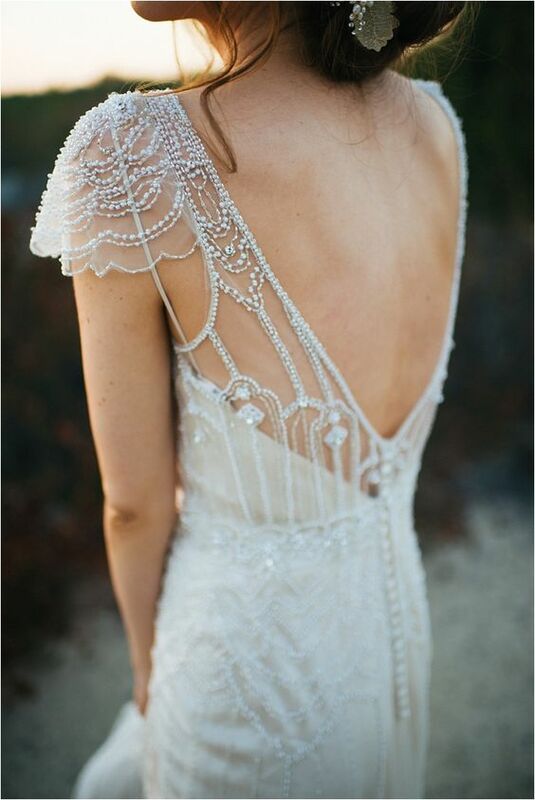 Gorgeous heavily beaded boho chic dresses with deep V necklines, stunning and jaw dropping art deco gowns with beaded cap sleeves, modern laconic plain gowns with contrasting cap sleeves of lace and rhinestones, trendy separates with lace cap sleeves bodices and so on – there are tons of dresses to try on! 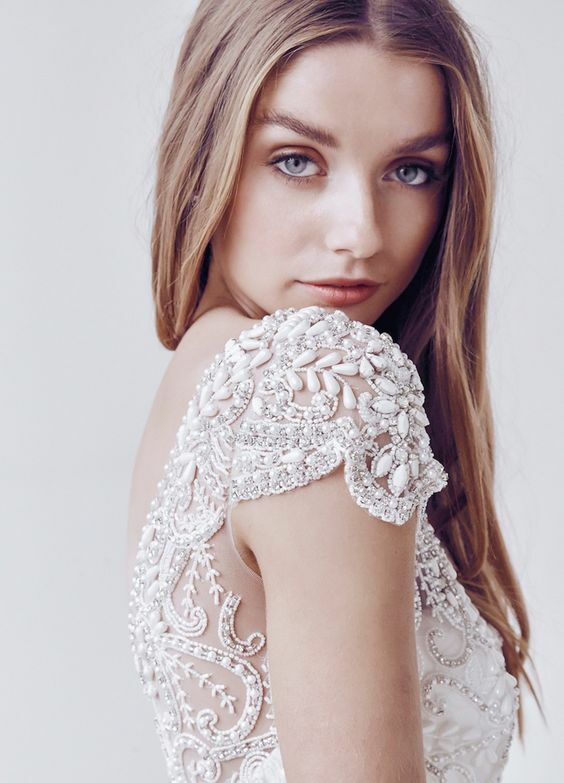 There are mermaid, A-line, ballgowns and other silhouettes to choose from and of course a lot of necklines, though the most popular type here is scoop or V-neckline. 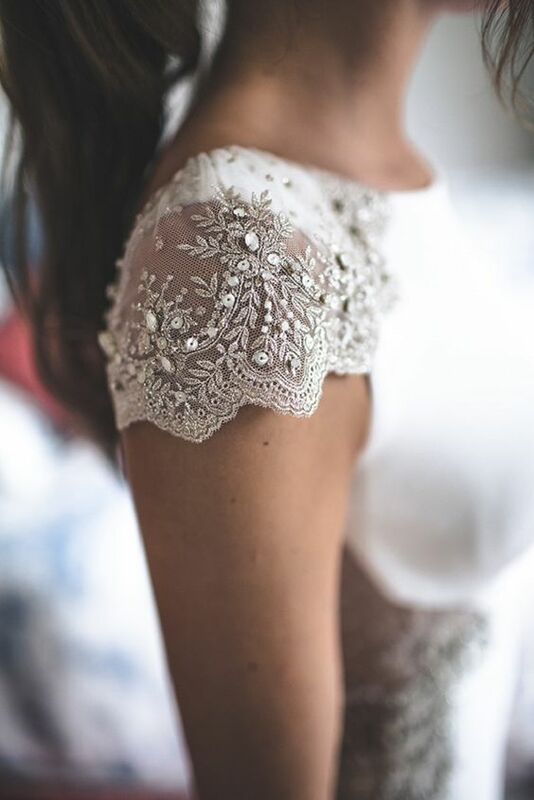 What’s more, you can go for an illusion cap sleeve made of lace appliques or beads on sheer fabric of your dress, so no wardrobe malfunction will happen. 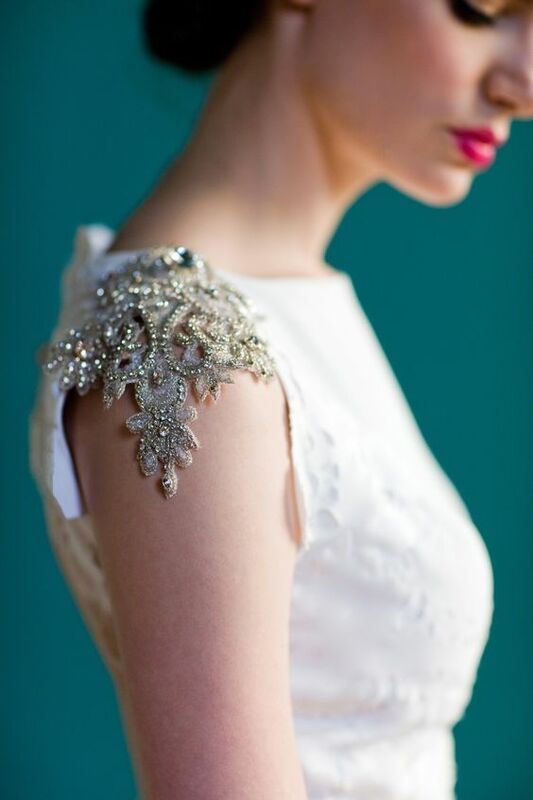 Choose the dress of your dream and be gorgeous!